One year ago my life changed forever when I saw the faint pink line on the pregnancy test. Since I had graduated college only six months earlier, being a stay at home mom had never even crossed my mind. I’d worked five years to obtain that expensive piece of paper. Surely, I’d use it, right? Wrong. Here I am a year later and my life looks nothing like I thought it would. My “career” is being a full-time caregiver, housekeeper, and cook. My husband, on the other hand, got a promotion right as I started staying home. As my “career” came to a stopping point, his was only beginning. As long as we had been married, my husband had supported me and encouraged me in my dreams. He tutored me every evening while I struggled through college and had gone to countless speaking engagements with me. Even at women’s retreats, he would stand outside the door of the auditorium listening to me since men weren’t allowed. When I asked to have my website designed, he didn’t care about the cost, he said, “of course”. That life coach certification? I got a yes in two seconds. He happy danced with me when I got the news that I was going to be published in a devotional and always reminded me of my worth. There is a season for everything. For me, this season looks like setting some of my dreams and that expensive piece of paper aside so I can care for the house while my husband works to care for me and our little girl. It means cleaning and cooking so that I can make my husband’s life a little easier since his hours at work got longer. I’d be lying if I said it was easy. As much as I would love to say that vacuuming and changing diapers is fulfilling, it isn’t. I pray daily that the Lord will help me find joy in the mundane. My husband is good at what he does and from the looks of it, he only has room to grow in the company. This season means supporting my husband while he reaches for his dream. It’s the least I can do since he’s always supported me in mine. 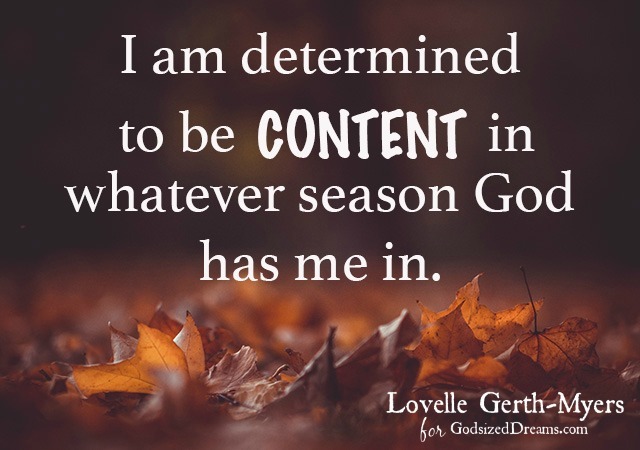 Some seasons we are called to be active while other seasons involve us standing on the sidelines.Click To Tweet I am determined to be content in whatever season the Lord has me in. My heart swells with happiness when my husband comes home to tell me about his day. He’s happy and proud of what he does. The Lord isn’t done with me yet and in His time, I’ll be able to pick up where I left off. Until then I’ll continue to be the cheerleader on the sidelines pushing my husband to be all that God has called him to be because that’s how I can support him while he works to achieve his dream. What season has God placed you in? What are some ways you find contentment? I’d love to hear about it. Yvonne, I love that! We can certainly make plans but the Lord will determine the outcome. He knows best. Thanks for taking time to stop by! Understanding seasons can be so difficult sometimes, but the beauty is that they are in fact seasons, which by nature are not permanent. Remember that God uses everything, every season we go through, to prepare us and equip us for the ones to come. Your season may not look the way you thought it would, but it is part of His plan. And I firmly believe that He loves when we come to Him honest and open about our uncertainty, frustration or any other feeling we have. Changing seasons can certainly be hard. I had a change of season three years ago and now it seems as if we are about to embark on another. I’ve always said I don’t like change. Maybe that’s why God keeps bringing me to new places and through new experiences. Who can know the mind of God? Blessings to you in your season. It can be hard but also SO rewarding. Patti, I know what you mean. I am learning to hold life and plans very loosely. That way, I am way more malleable for God. Thanks for stoping by! My life and my dreams have certainly seen some transitions over the years, I’m thankful that I also have a loving husband who views our union as “heirs together of the grace of life,” so our goals and our successes (and our set backs and our failures) are to be celebrated and mourned as one! 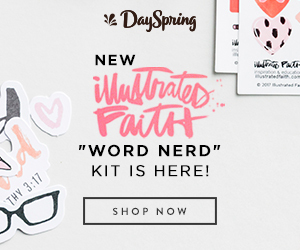 Blessings to you in this motherhood journey! 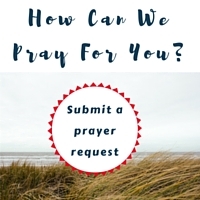 Praying that your words will land with power on the eyes and hearts of young mums who feel conflicted about their role or competitive with their husbands. Michele, praise Jesus for good Godly Men! I seriously don’t know what I would do without mine. Thank you so much or the encouragement! I appreciate it so much. Bravo for choosing contentment. I promise your choice to stay home and give to your husband and daughter will bring abundant joy and blessing that you can’t imagine. Lovelle, It was so nice to see you hear. Praying you find contentment in every season. I have had quite a bit of experience in setting my dreams aside as God has taken me down a different path. Dear Lovelle, the sidelines can be a challenge. I had to sit back and watch while my niece attained in her career all I had hoped for in mine. Thank goodness she is really terrific at what she does. Not only was God teaching me humility, He was also teaching me perseverance and discernment in what I was really good at. Prayers for peace and contentment during this season.